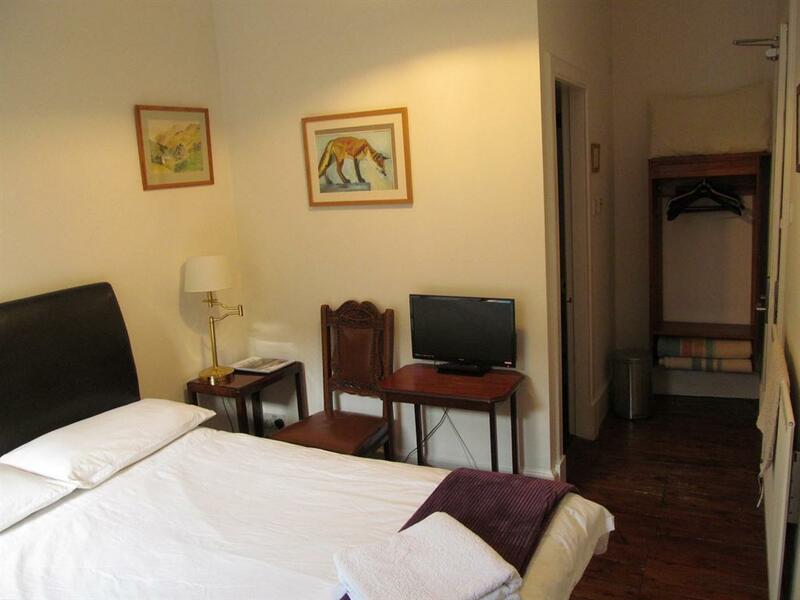 The Large Front Double Room is located at lower ground level, accessed independently by basement steps. The room is situated at the front of the building, and looks out on to the west facing basement patio. 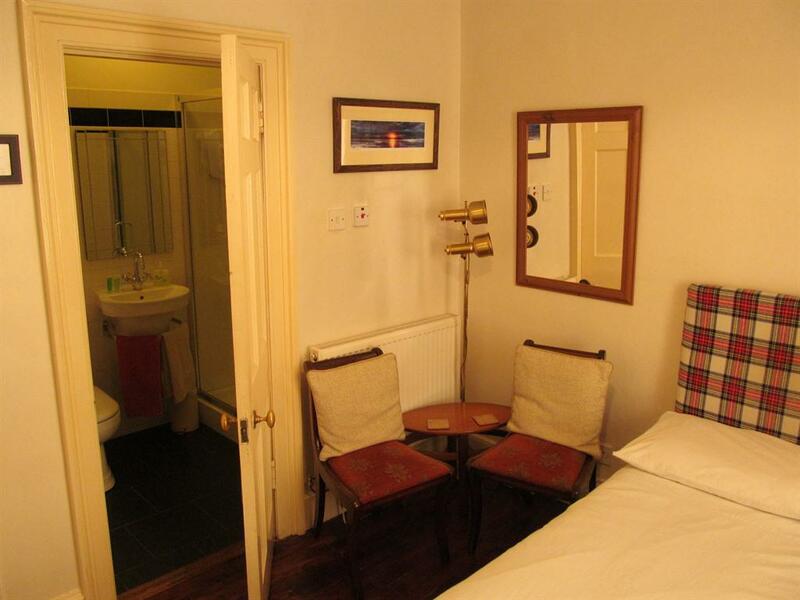 It’s a comfortable double bedded en suite room with tub armchairs and table. An additional single bed can be set up in this Room. (see .com website for photos). 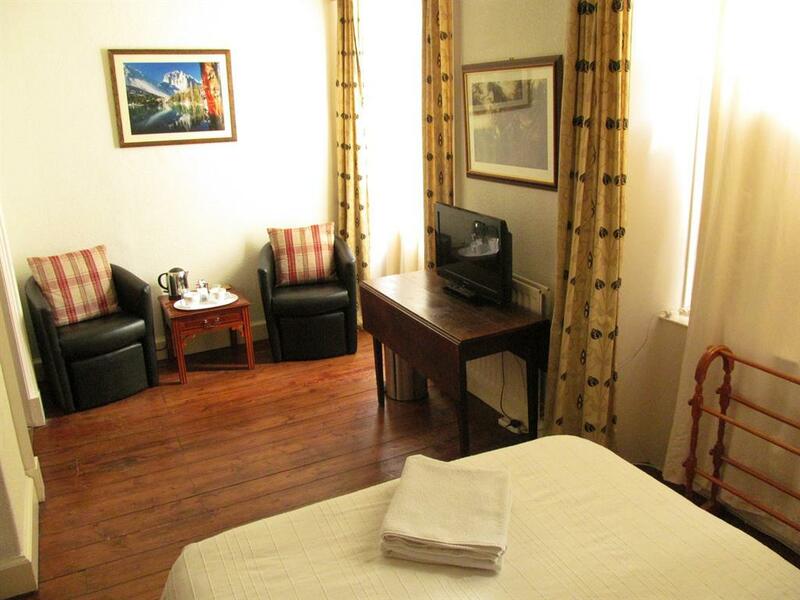 The room is accessed by a pin code, e mailed in advance for pre-pay bookings along with other information. A file in the room gives you helpful information including wifi code. 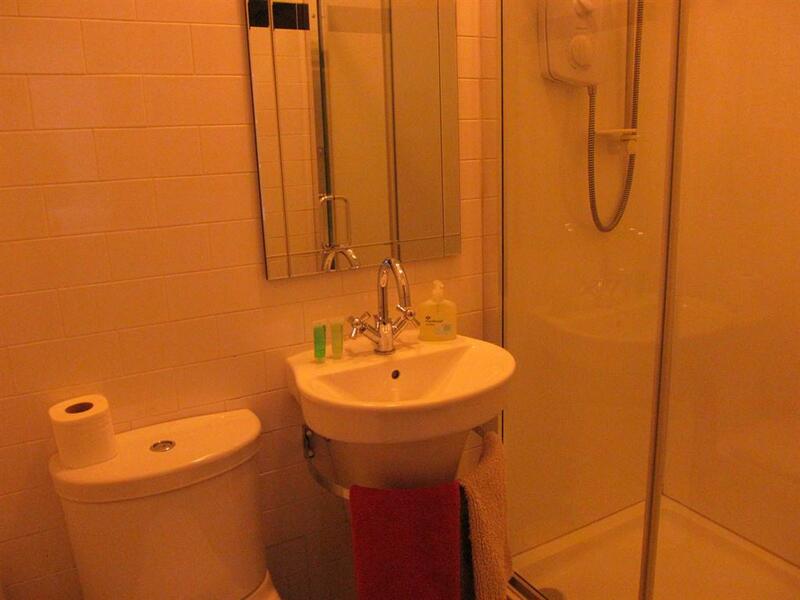 The bathroom has a shower, toilet and wash basin. The fan with humidistat keeps the air fresh. 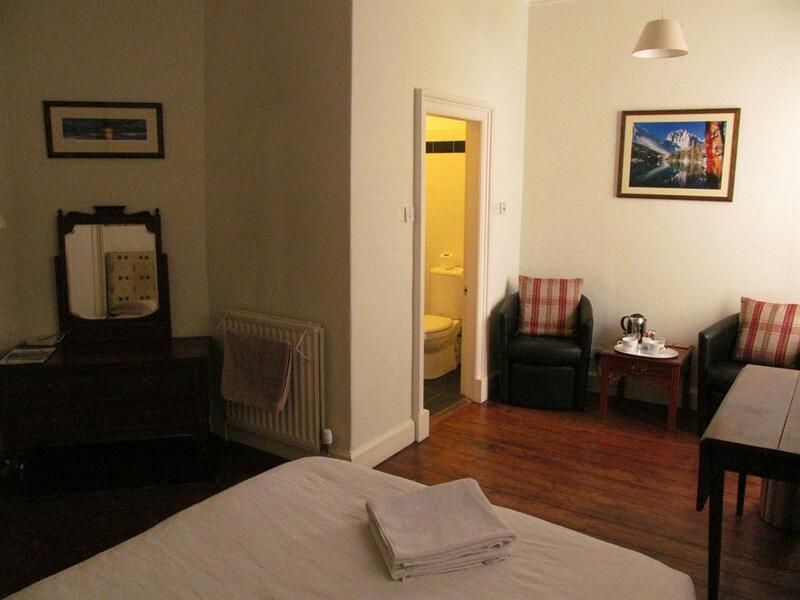 The Front Double Room is located at lower ground level, accessed independently by basement steps. 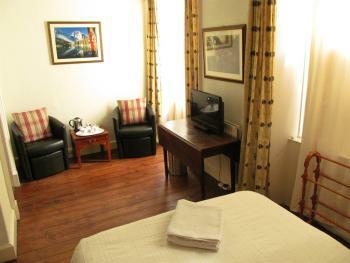 The room is situated at the front of the building, and looks out on to the west facing basement patio. 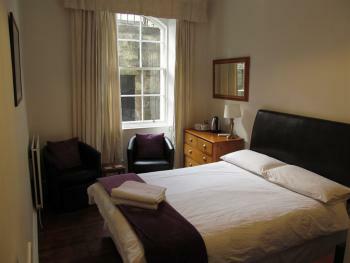 It’s a comfortable en suite room with a double bed and tub armchairs (see .com website for photos). 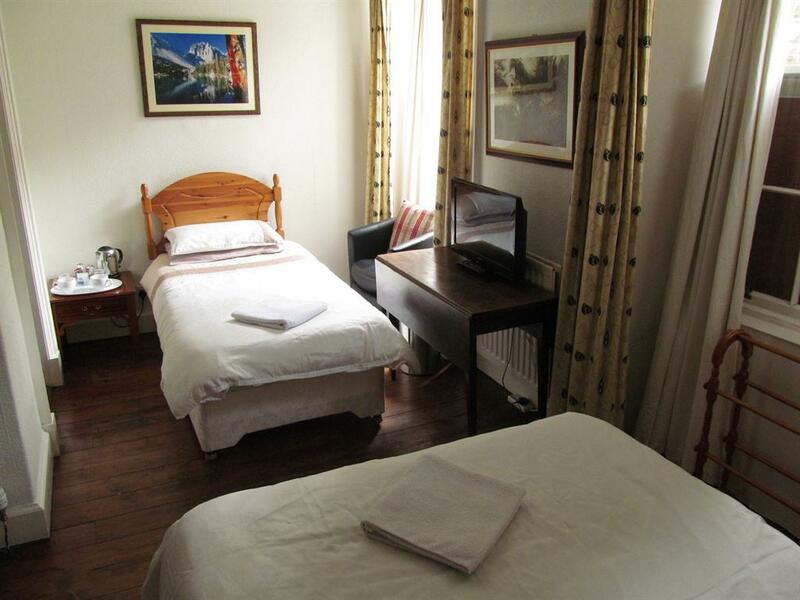 The room is accessed by a pin code, e mailed in advance for pre-pay bookings, along with other information. An file in the room gives helpful information including wifi code. 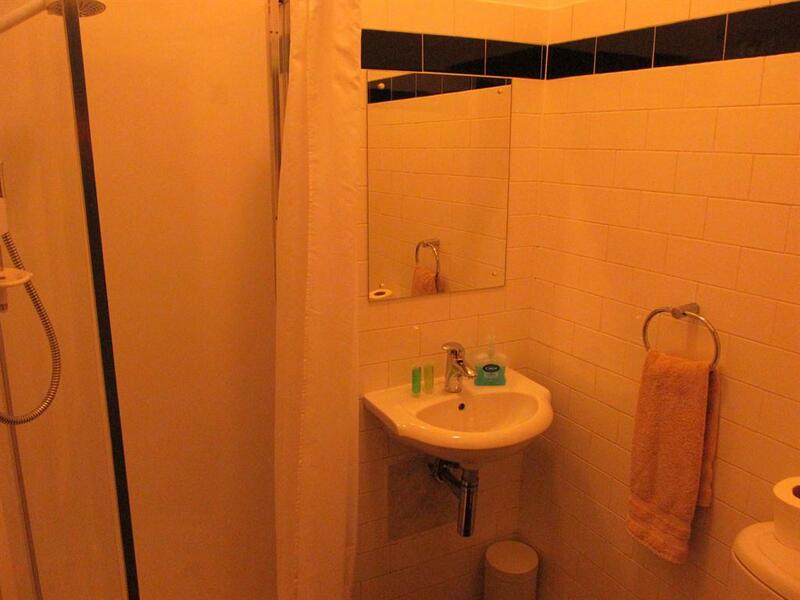 The bathroom has a shower, toilet and wash basin. The fan with humidistat keeps the air fresh. 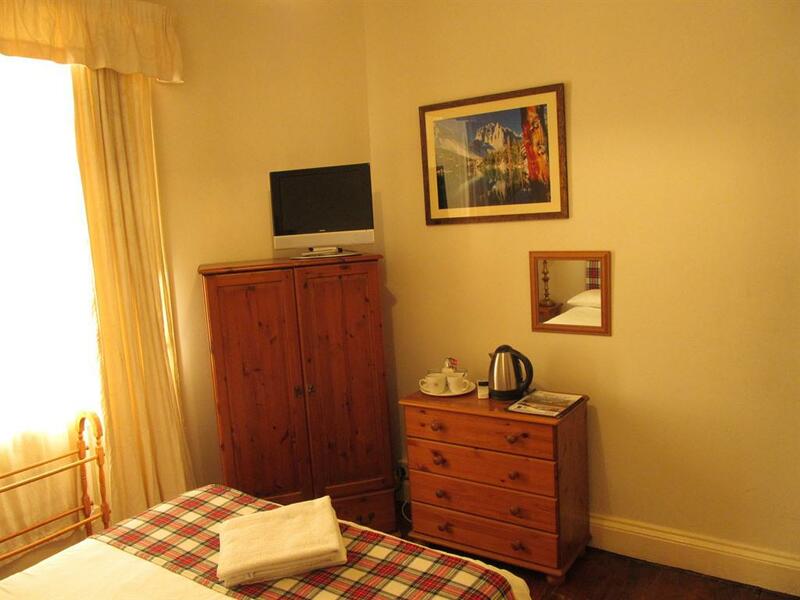 This Back Double Room is located at lower ground level, accessed independently by basement steps. 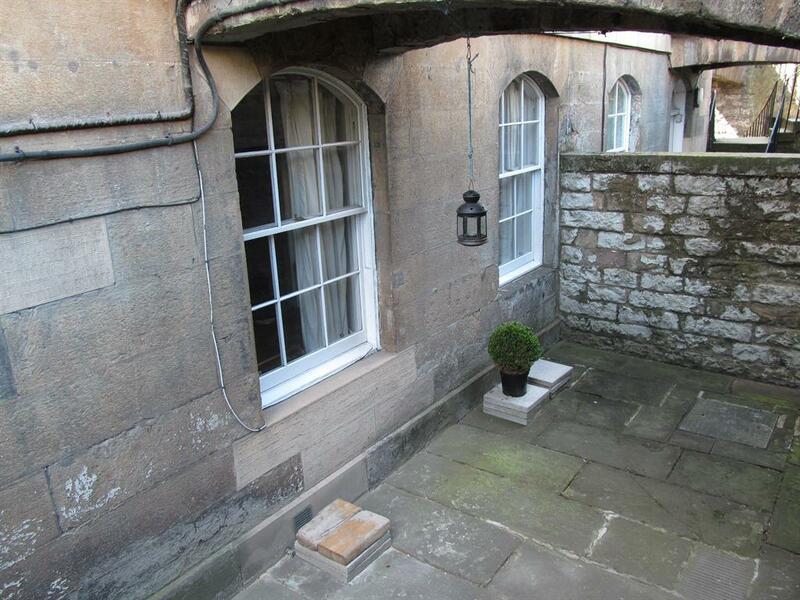 The room is situated at the back of the building, and looks out on to William H. Playfair's classic (castle style) turreted court yard. 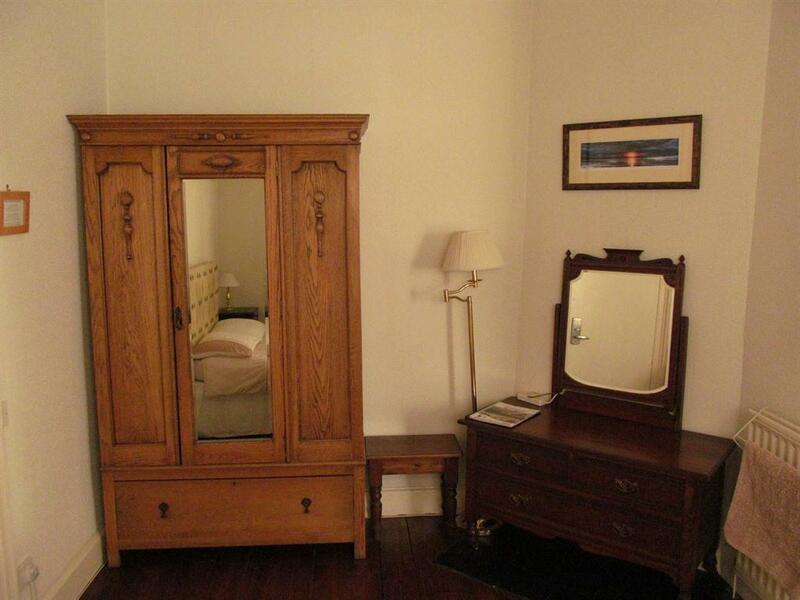 It’s a comfortable en suite room double bed and upright chairs (see .com website for photos). 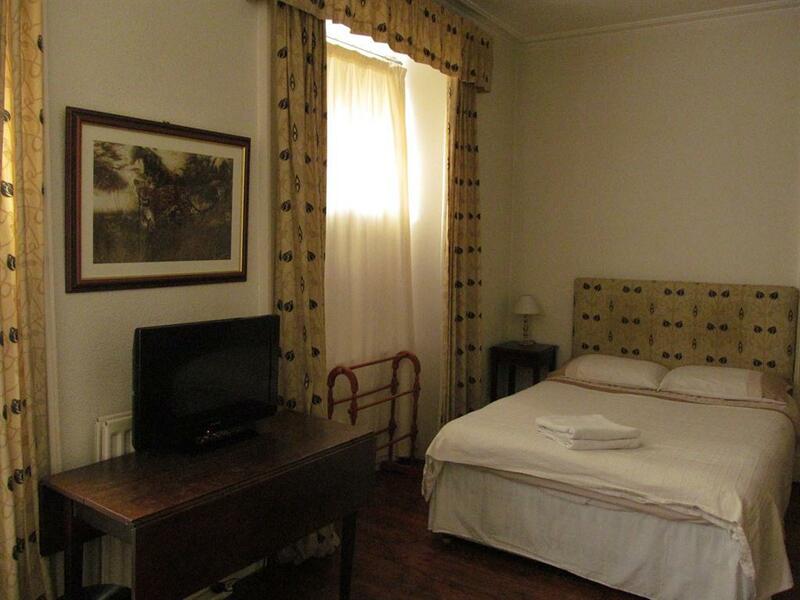 The room is accessed by a pin code, e mailed in advance for pre-pay bookings along with other information. An file in your room gives helpful information including wifi code. 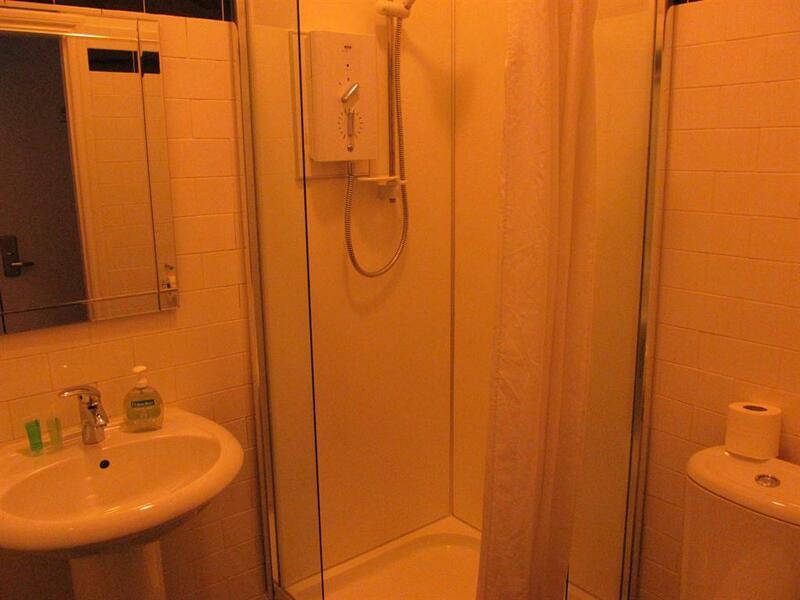 The bathroom has a double shower, toilet and wash basin. The fan with humidistat keeps the air fresh.